Small companies in Europe will find it easier to bounce back under new rules proposed by the European Commission as it takes the first step toward harmonizing the bloc’s disparate insolvency framework to boost entrepreneurship and growth. The plan, launched by the European Union’s executive arm Tuesday, stipulates that small businesses are given greater legal flexibility to restructure rather than go bust when struggling—similar to U.S. Chapter 11 bankruptcy laws. It also looks to assist business owners by removing the burden of legacy debt accrued from a failed endeavor, giving them a so-called second chance. “Every year in the EU, 200,000 firms go bankrupt; which results in 1.7 million job losses. This could often be avoided if we had more efficient insolvency and restructuring procedures. 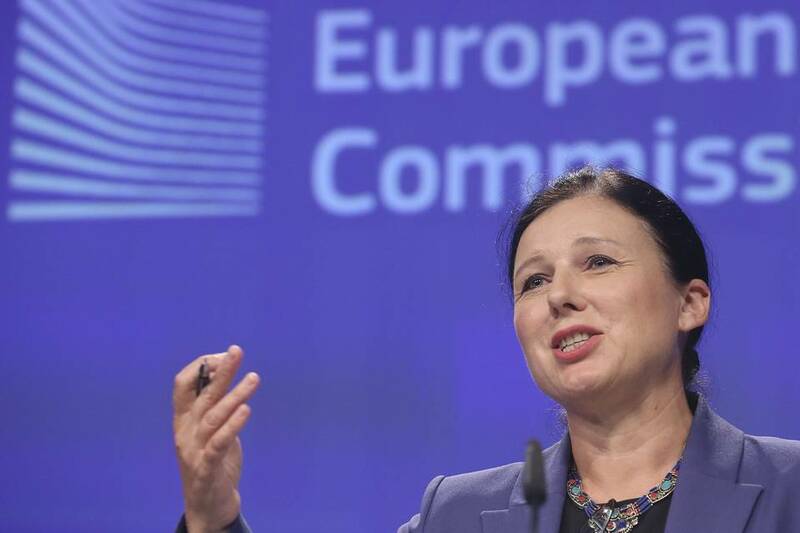 It is high time to give entrepreneurs a second chance to restart a business,” said Vera Jourova, the EU’s justice commissioner. Ms. Jourova jointly delivered the proposal with financial services Chief Valdis Dombrovskis, marking a first attempt at harmonizing the bloc’s bankruptcy laws, often viewed as too political to touch since insolvency procedures strike at the heart of civil law and national traditions. Under the current EU system, an entrepreneur can carry debt for up to 10 years in some countries. The commission proposes to bring this down to three with full discharge in a bid to encourage an approach more aligned with the U.S. when it comes to accepting failure as a normal part of doing business. The commission said that one out of two Europeans stated in a survey they wouldn’t start a business because of such fear of failure, the social stigma attached, and the inability to pay off debts. Mr. Dombrovskis said in an interview last week that the “very different insolvency frameworks” were an obstacle to the free movement of capital within the EU, spurring the commission’s work in such a sensitive area. Moreover, European supervisors and market participants have stressed that reforming bankruptcy laws in Europe is essential to help the bloc’s banks clear the books of bad loans. Earlier in November Daniele Nouy, chief bank supervisor at the European Central Bank, said “good bankruptcy laws” were imperative to solving the nonperforming loan problem plaguing the bloc. The commission has estimated that freeing-up capital disposed for nonperforming loans could unlock new lending capacities of between €167 billion ($177.52 billion) and €522 billion. An EU official said that while critics may say Tuesday’s proposed legislation doesn’t go far enough in building a fully harmonized insolvency framework, it is a first step. While the commission isn’t seeking to fully harmonize EU insolvency law, it is looking to pressure member states to overhaul bankruptcy frameworks by launching a benchmarking exercise at the EU level, the EU official added. The second part of the commission’s plan would be to assess the differences between national insolvency practices with first results due in mid-2017. The work would measure the time, cost and probability of recovering assets to provide a comparison of how different national systems perform. An EU official said this could be more powerful and effective than proposing changes that would likely be rejected by national governments. In regards to how the proposed EU law could impact the U.K. in light of Brexit, Richard Tett, a partner at global law firm Freshfields Bruckhaus Deringer, said the U.K. may not need to implement the rules since EU member states are likely to have two years to apply the proposed framework. “Hopefully, the draft European Directive will encourage the U.K. to re-orientate its insolvency laws, he said. “If so, this ‘competitive legislative tension’ could be good for businesses across Europe. ”The commission said that one out of two Europeans stated they wouldn’t start a business because of such fear of failure, the social stigma attached, and the inability to pay off debts.